WCRE is proud to have exclusively represented the owner, CBNJ HOLDINGS in the sale of 399 East Broad Street in Bridgeton, NJ. 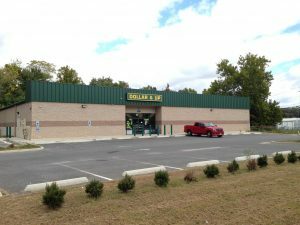 Elcan & Associates acquired this +/- 9,040 square foot newly constructed free standing retail property as an investment. 399 E Broad is located in the business district of Bridgeton and was previously occupied by a Dollar Store. The building is situated on 5.91 Acres and offers excellent visibility and access to the local community. Leor Hemo and Jason Wolf of WCRE exclusively represented the seller, CBNJ HOLDINGS a subsidiary of Capital Bank of New Jersey in this transaction.